"The world is full of terrible people…" Indeed it is. Brainstorm Media + Great Point Media have debuted an official trailer for a film titled We Have Always Lived in the Castle, an adaptation of Shirley Jackson's classic novel of the same name. This creepy Gothic mystery thriller is about two sisters who live in a large manor, caring for their deranged uncle - as played by Crispin Glover (perfect casting for Crispin, I'd say?). Merricat, Constance and their Uncle Julian live in isolation after experiencing a family tragedy six years earlier. When cousin Charles arrives to steal the family fortune, he also threatens a dark secret they've been hiding. 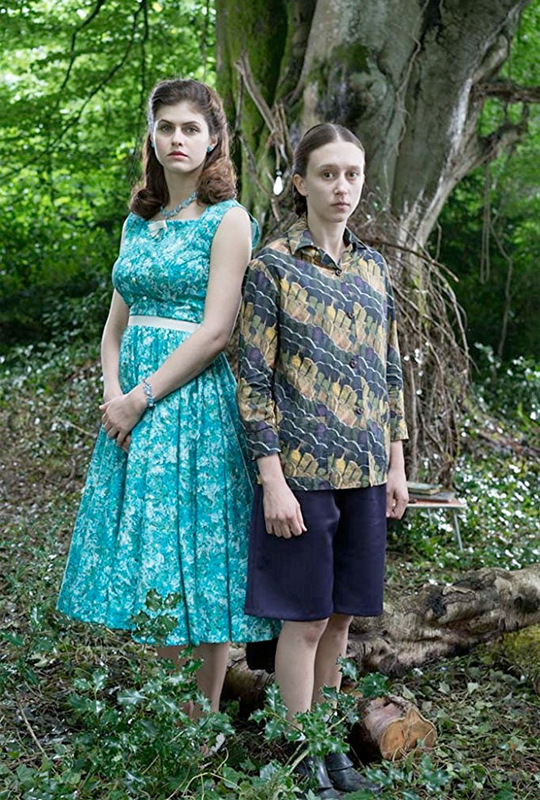 Alexandra Daddario and Taissa Farmiga co-star, with a cast including Sebastian Stan, Paula Malcomson, Bosco Hogan, Peter O'Meara, Joanne Crawford, as well as Glover. Take a peek below. Two sisters (Alexandra Daddario and Taissa Farmiga) live secluded in a large manor and care for their deranged Uncle Julian (Crispin Glover). The rest of their family died five years before, under suspicious circumstances. When a cousin (Sebastian Stan) arrives for a visit, family secrets and scandals unravel. We Have Always Lived in the Castle is directed by American filmmaker Stacie Passon, her second feature film after making Concussion in 2013 previously, in addition to lots of TV directing working. The screenplay is written by Mark Kruger; based on the beloved mystery novel by Shirley Jackson first published in 1962. This premiered at the Los Angeles Film Festival last year. Brainstorm Media will release Passon's We Have Always Lived in the Castle in select theaters starting on May 17th, 2019 next month. Anyone interested?